About two-thirds of Food and Drug Administration scientists are less than fully confident in the agency's monitoring of the safety of prescription drugs now being sold, according to an FDA internal survey. , this is not the kind of report that instills public confidence in a government agency. The study, conducted two years ago but released Thursday after two public interest groups who filed a freedom of information act to obtain it. The survey's results echo the concerns of Dr. David Graham, the FDA medical officer who recently outed the agency's safety problems before Congress. As of two years ago, more than one third of FDA scientists have some doubts about the process for approving new drugs, the survey found. And two-thirds of the FDA scientists surveyed were not highly confident that the FDA "adequately monitors safety of prescription drugs" once on the market. One in five said they'd been "pressured to approve" a drug "despite reservations about its safety" or other concerns, as CBS's Attkisson reports. The survey was conducted by the Department of Health & Human Services Office of Inspector General. It comes in the wake of safety concerns forcing removal from the market of Vioxx, an arthritis drug, and congressional testimony by Dr. David Graham, an FDA scientist, that the agency mishandled safety concerns about five other drugs. "By all appearances, FDA would rather be sorry than safe," said Rebecca Roose, director of the Attkisson reports, scientists interviewed by CBS News have expressed such concerns as far back as 2000. Drs. 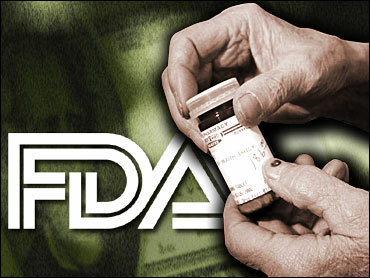 John Gueriguian, Robert Misbin and Leo Lutwak said their FDA bosses ignored their concerns about the diabetes drug Rezulin, which eventually was pulled from the market.FDA scientists have repeatedly proven correct in their ability to flag dangerous drugs, but, as the study shows, are often scared to voice their concerns. Scientists have even been threatened with criminal prosecution for allegedly leaking important safety information to the public, which is precisely what happened to Gueriguian, Misbin and Lutwak. "Eighteen percent does not bode well," said Roose. "We would expect that in an agency that is protecting the public health that the number of scientists not feeling pressure should be 100 percent. That is a matter of concern. "But the FDA repeatedly has denied such pressuring or retaliation against scientists. Today, the agency said it "encourages scientific debate" and "weighs all the evidence" before deciding whether a drug should be on the market. "Officials at the Union of Concerned Scientists and at the Public Employees for Environmental Responsibility said requests for the full report were ignored by the FDA and the HHS until PEER filed the FOIA application. Even Rep. Stupak said he had been stymied in his efforts to get a copy of the full report.